Name cards play an important role in any setting. 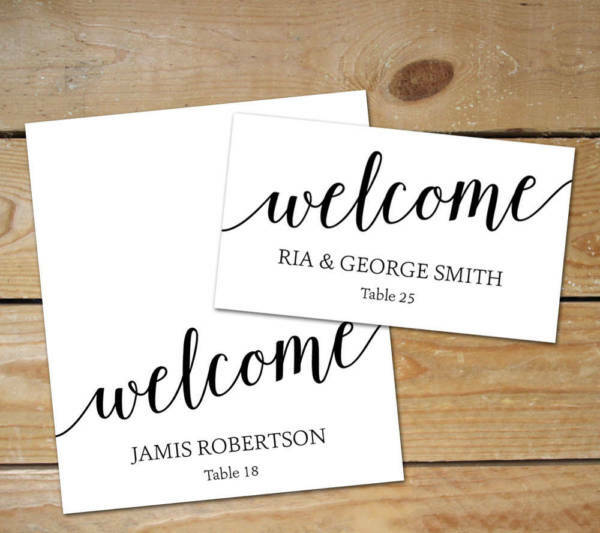 You may be at a wedding reception or at a business function, and a name card can ease you into any conversation and formal introductions quite easily. They are functional, convenient, and are absolutely stylish. 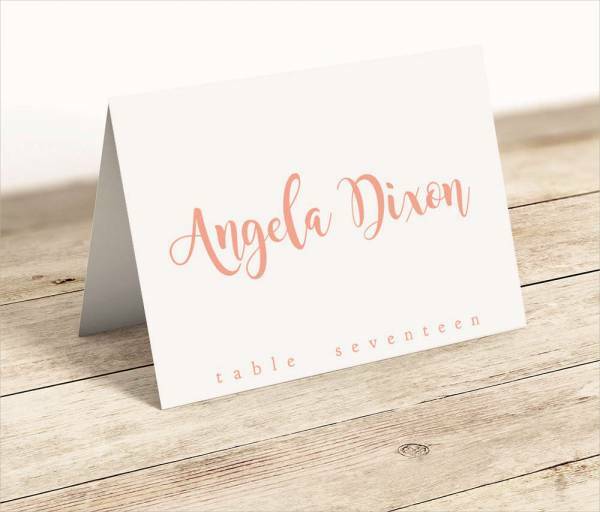 If you’re preparing for an event and are currently in need of name card, check out our list of elegant name card templates. They’re fit for any occasion and come in different designs. 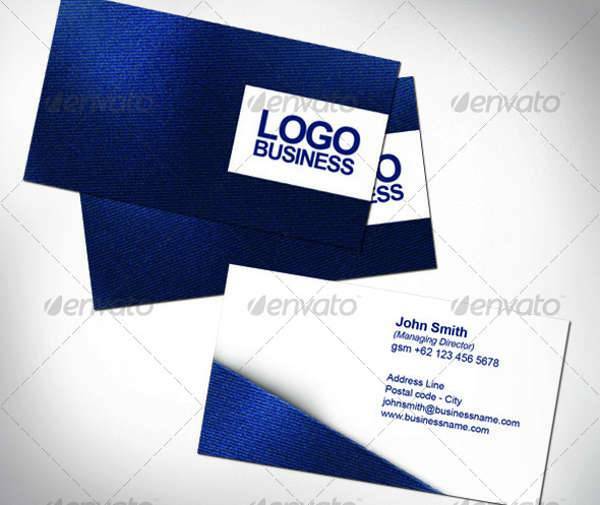 We also have templates that can serve as business card mockups for you to try out. If you haven’t tried using name cards for a special event, then you must be wondering what makes them so important for your next one. Well, for starters, name cards are extremely functional is huge formal events. For example, seating arrangements at a large wedding reception can be quite tricky. You’re going to have a room full of people and you can’t exactly attend to each and every one. 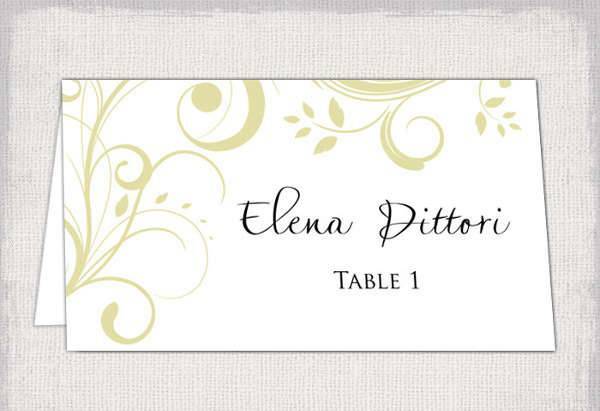 Placing name cards on tables can help ease the guests’ confusion of where to sit. 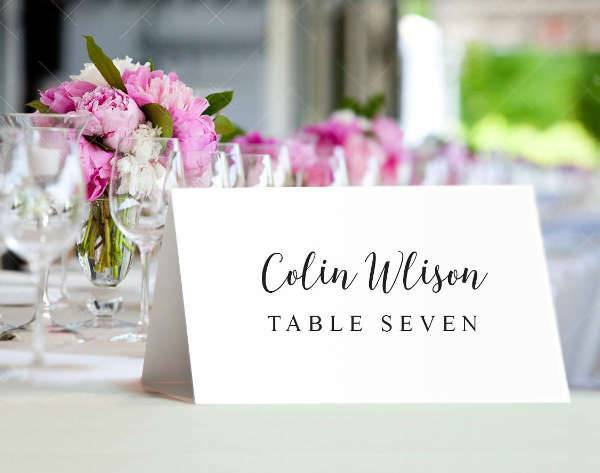 Setting up a wedding table card can also be a strategic way of letting your guests get to know each other by seating them next to people they haven’t met but might get along with. 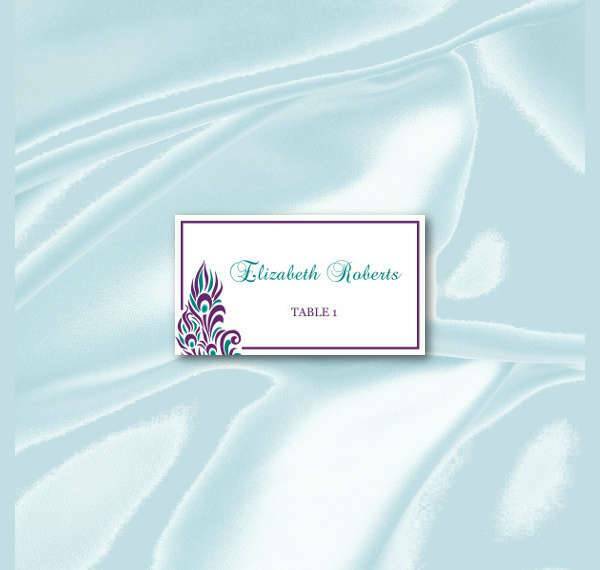 A wedding name card is also your way of reaching out to your guests when you can’t attend to them right away. Aside from the name and table number on the card, some folded name cards contain a brief message and a wedding logo. Name cards are also ornamental. They also serve as decorative pieces to your tables. They should be designed and arranged according to your theme. You can even style each table with different elements from your theme for guests to locate their tables easily. There are also name cards you use in the professional scene. 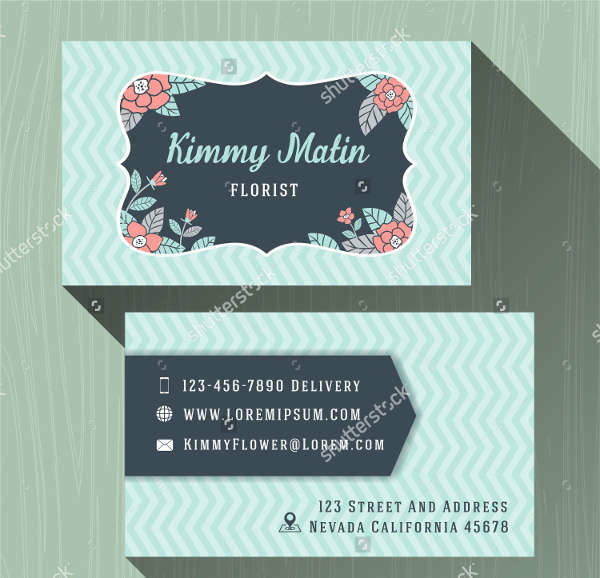 Your name card, commonly known as a business card, is one way of letting potential clients and business partners know who you are. A business card is you making yourself accessible to someone you would like to work or partner with. It’s your way of making yourself available to opportunities. 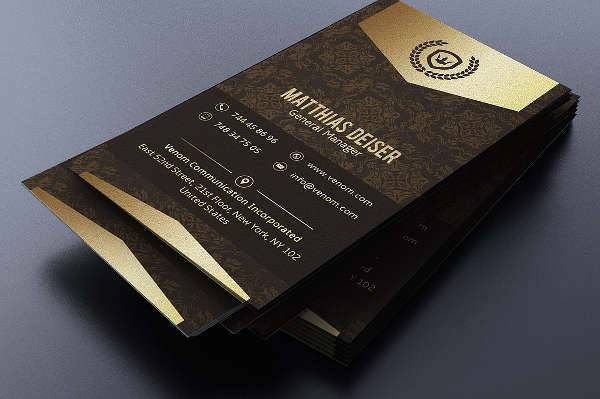 On the other hand, receiving a business card from someone is a convenient way of reaching that person for professional advice, a business venture proposal, or for products and services acquisition. Name cards for startups are incredibly important and should be designed to perfection. They are just as important as the company logo they contain. They are part of your branding as a professional. 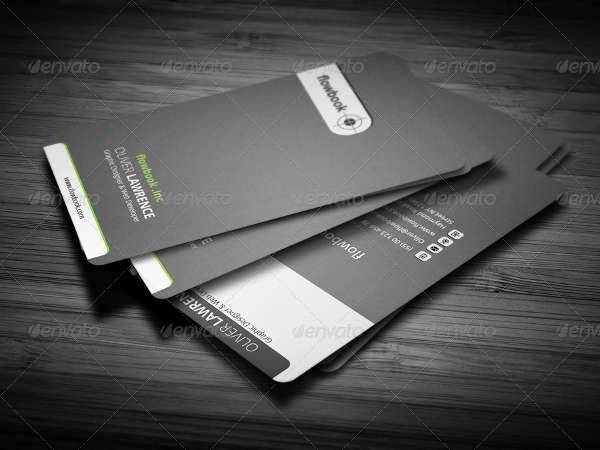 You can learn to make your name cards look professional and sleek by using a business card mockup. 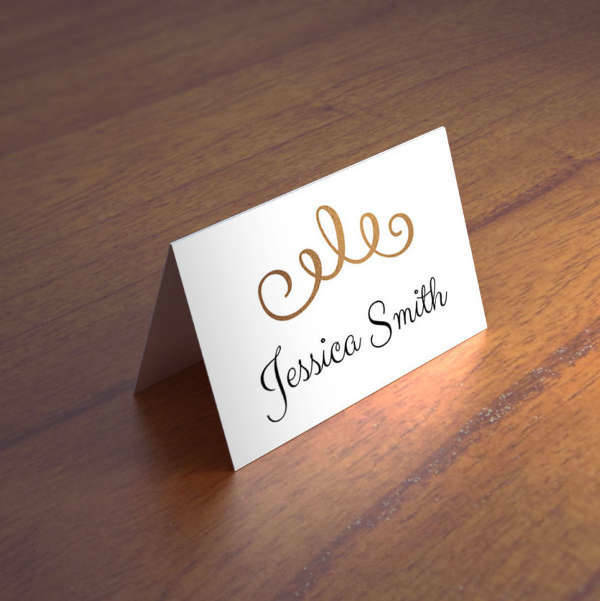 Put a lot of thought into your name card designs and plan out how you would want them to look. 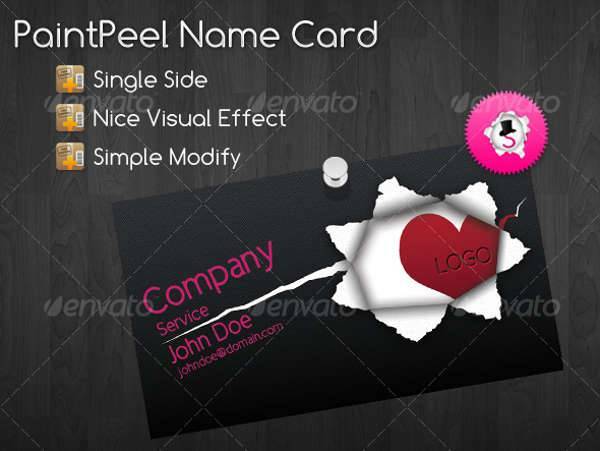 There are multiple approaches you can try in designing your name cards. Since your cards can be applicable to any event or occasion, they can easily be designed and manipulated to fit your theme or motif. 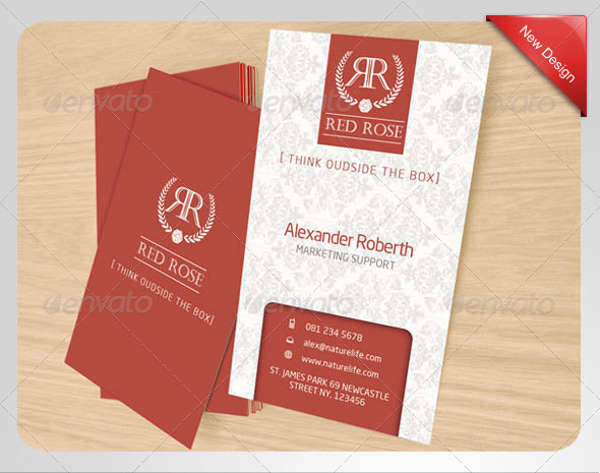 The traditional look is that of a rectangular-shaped name card. This is common for wedding tables, and business cards most especially. For wedding tables and other party tables for that matter, a folded card is a widely-used approach. They can stand upright to be more visible. Our Printable Folded Name Card can be a perfect fit for those occasions. You may also experiment with other shape designs if you want something unconventional. 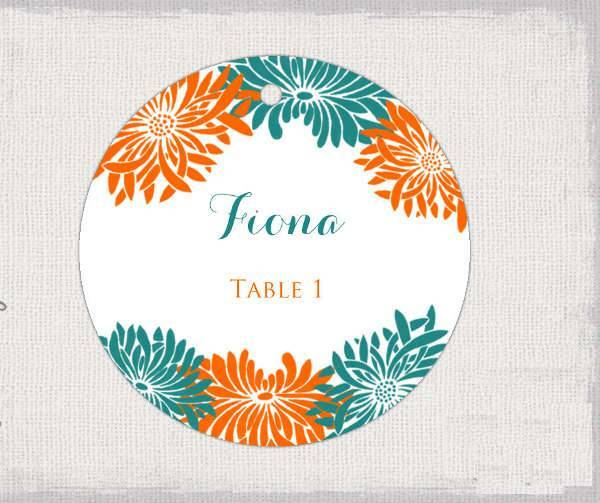 Our Round Floral Name Card is a classic example of simplicity and sophistication. They also have an added charm to them, making them seem more inviting. An embossed graduation name card is also a different type of approach you can try out. They’re more for sleekness and professionalism. You may use also use them on our business cards, or name plates on your office desk. 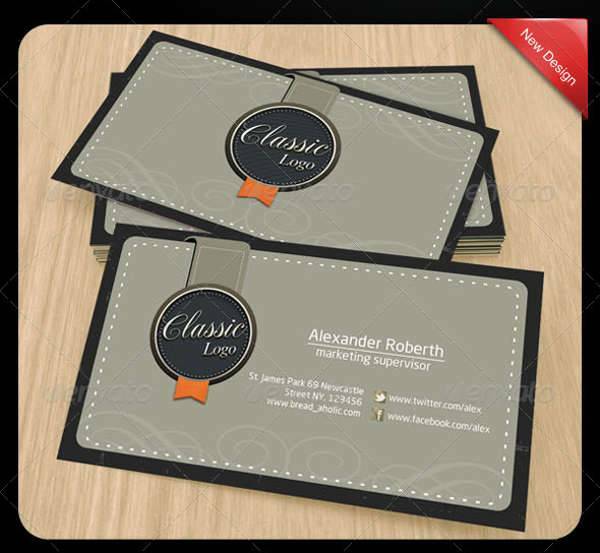 Retro Business Name Card – If you want your business card looking fresh while maintaining its professionalism, try using a theme for your design. They don’t exactly have to be so loud and obvious. You can make use of subtle designs and patterns, just to set the tone right. 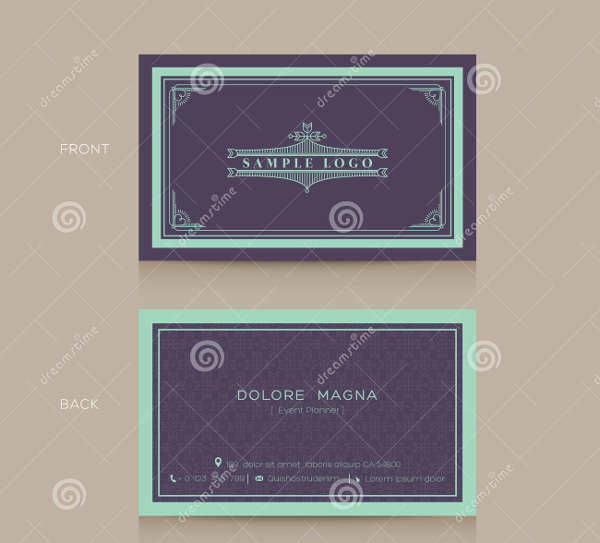 A retro-themed business card doesn’t have to mean eccentric colors and fonts. You can go for a monochromatic paisley pattern that fades quietly into the background. Set a color scheme for your text that matches your background and/or borders. 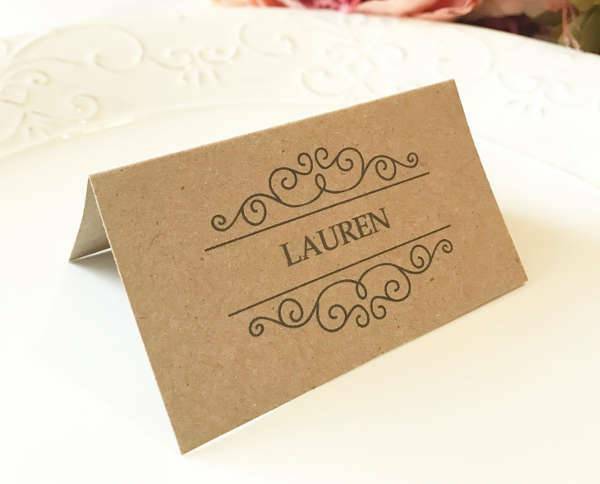 Rustic Name Card – A rustic name card is a blend of formal and casual. You can go for a minimalist approach with your card by using a plain background and a simple border and text. Natural colors are the ideal choice, and your pick of calligraphy fonts should be able to bring out the dreamy chic in rustic. 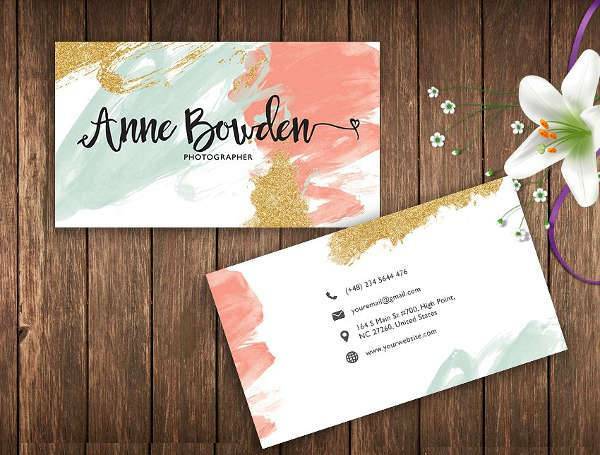 Abstract Professional Name Card – If your’re in the Arts industry, an abstract professional name card might just be your thing. You can make use of unconventional designs like splattered paint and glitter, or watercolor patterns, and abstract designs. You also have more liberty in font designs. Maintain professionalism by indicating all the necessary information needed to reach you. 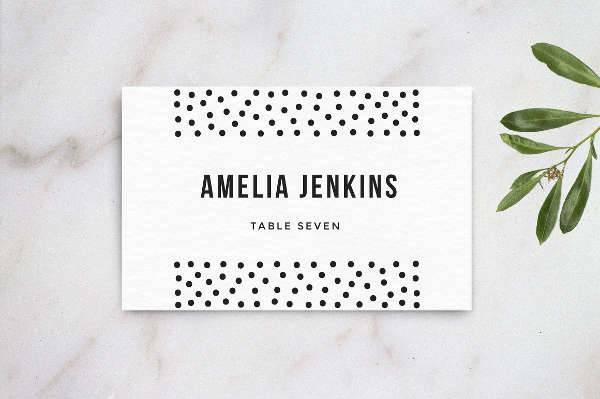 Our Elegant Name Card is the perfect example of serious playfulness. 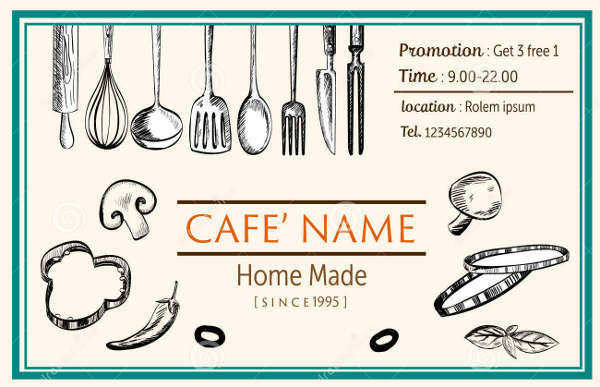 Restaurant Name Card – Name Cards for restaurant and other kinds of business establishments can vary in design, depending on the brand of the company. There are card designs that are quirky and creative, while others are more direct and formal. 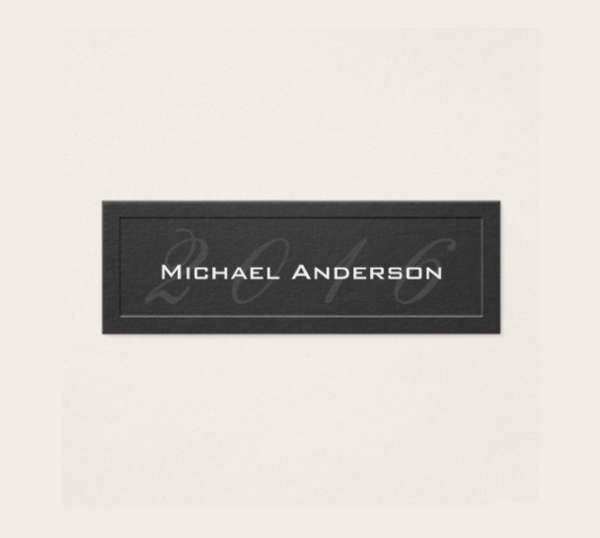 If you have a certain look in your establishment that sets you apart, incorporate that in your name cards. Your cards are your way of letting potential customers know you exist. Aside from the address indicated on your card, the design is what encourages people to visit your establishment. The image they get from your cards is something they expect to see in the actual venue. In designing your name cards, it’s always a good idea to plan ahead all the things you want included in your card. Always keep your desired look in mind to make it easier to find the design elements you’ll need. Don’t be afraid to make a couple of mistakes on the way. 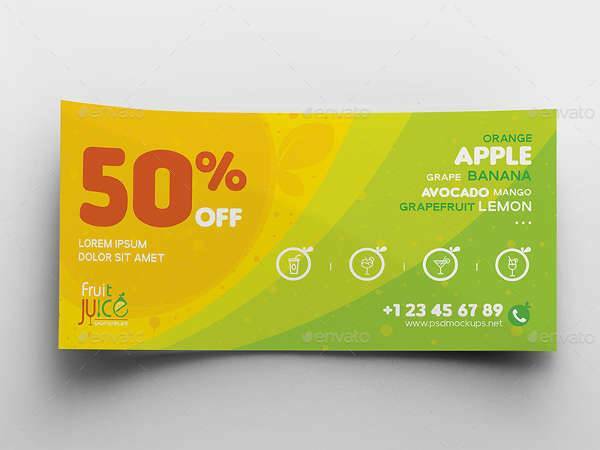 You can start experimenting with our free PSD label mock-ups or download some of our name card templates to get the hang of it.